While Britain and America remain friends, European nations must rely more on themselves, German Chancellor Angela Merkel told a rally of voters in Munich. She said she got this feeling after meeting world leaders at the recently concluded G7 summit in Italy. “The times in which we could completely depend on others are on the way out. I've experienced that in the last few days,” she told the crowd Sunday, a day after attending the G7 summit. 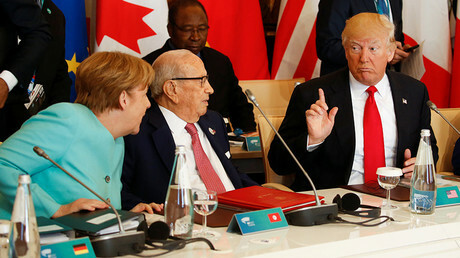 At the summit, G7 leaders failed to secure a pledge from US President Donald Trump to keep America in a key climate change accord, the Paris Agreement. The chancellor described the talks on the issue as “very difficult, not to say very unsatisfactory” afterwards. 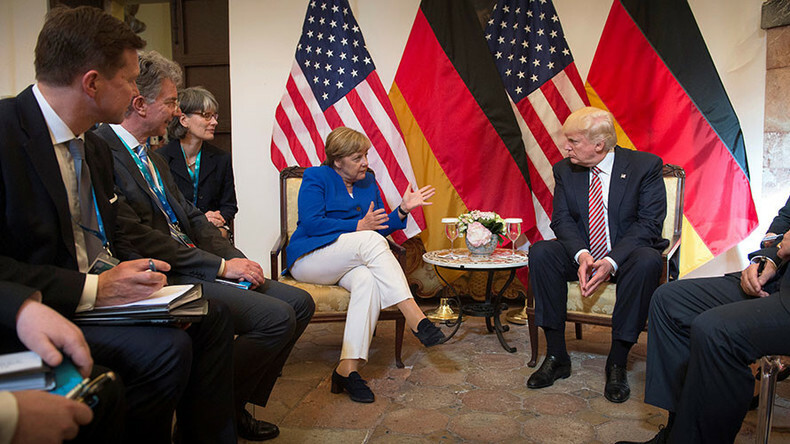 In her Sunday speech, Merkel said: “We Europeans must really take our destiny into our own hands, of course in friendship with the United States, in friendship with Great Britain, with good neighborly relations wherever possible, also with Russia and other countries – but we have to know that we have to fight for our future and our fate ourselves as Europeans." She added that good relations with France’s newly elected President Emmanuel Macron is necessary to cement European ties. The chancellor appeared a festival tent in the Bavarian capital alongside the state’s Minister-President, Horst Seehofer, according to Focus. He leads the Christian Social Union (CSU), the Bavarian sister party of Merkel’s ruling Christian Democratic Union (CDU). Mekel and Seehofer’s meeting, aimed at renewing the alliance of the two parties after some policy squabbles, was scheduled for Tuesday but was canceled due to the suicide bombing in Manchester, UK. According to polls, the sister parties are expected to win the upcoming general election, securing Merkel a fourth term as Germany Chancellor. Some 2,300 people showed up for the festivities, filling up the tent despite hot weather while several hundred enjoyed the weather outside.